Love has no distance. PRESTIGE offers their talent and service for weddings both near and far. Whether you're planning your wedding in beautiful Maui, Hawaii or at a resort on the other side of the country, PRESTIGE is willing to accommodate your destination wedding needs wherever it may take us .Contact us today to discuss your Destination wedding and how our services can fit your needs. Our DJs & Photographers will travel wherever your special event is! We sit down with every couple to discuss and build their “perfect day.” Taking the time to understand your needs is our priority to ensure that your wedding lives up to your every expectation. At PRESTIGE, we pride ourselves on our reliability, professionalism and commitment to your needs. All of our DJs are seasoned professionals with years of experience working in different venues and environments. Peace of mind is important and we provide backup systems, backup DJs and a million dollars insurance for every gig so you’ve got the peace of mind that allows you to enjoy your special day just as much as your guests will. We are not a one-size-fits-all DJ company. Instead, we create a fluid and custom production to fit your wedding day and match your style. Since 2012, we have been providing our DJ services for weddings in and around the Quad City & Midwest area. We are committed, knowledgeable and above all, professional. 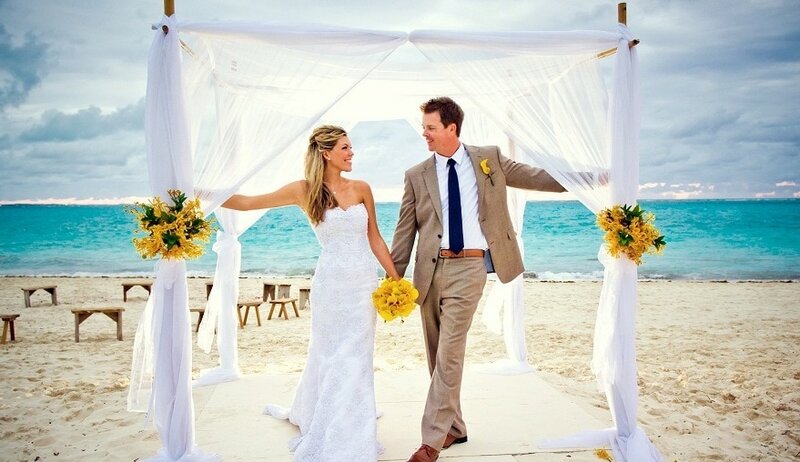 Contact us today to discuss your destination wedding and how our DJs and party planning services can fit your needs. 1. What are your Destination Wedding DJ Fees and Prices? Prestige is known for delivering outstanding service at all their events which could not be possible without their "two man crew". Prestige sends a DJ & an Emcee to most events, which means one person is mixing music the whole time and the other is running the show. By sending two professionals we minimize the risk of any delays or malfunctions & ensures that your special day will run as smoothly as possible. Even though this is the way we like to things it totally depends on the guest count and your wedding program. We would also like to depart for the destination a day in advanced so he will have plenty of time to scout the wedding venue as well as ensure that we will be on time to the location on the day of your wedding. As for the departing flight, we typically have the tickets booked for the day after your event, preferably at a later time. If you'd like to use your travel miles/rewards and book these flights on your own, he would like to ask you that you send him the flight information ahead of time just so he can approve the details (flight times, transfers, layovers, etc.). 4. Will PRESTIGE be bringing the equipment? Due to the traveling nature of the job, PRESTIGE will only bring the needed equipment that he can carry with him to perform at your wedding (ex. laptop, headphones, music, etc). He will rely on and use the professional equipment and setup done by a local DJ/Entertainment/Production company that is near your destination wedding location. 5. Would it be easier to hire a wedding DJ who is already located at the location of my wedding?